Competition is heating up in the western United States. Invasive and native plants are racing to claim available land and resources. Alicia Foxx, who studies the interplay of roots of native and invasive plants, is glued to the action. The results of this contest, says the plant biology and conservation doctoral student at the Chicago Botanic Garden and Northwestern University, could be difficult to reverse. Cheatgrass, which is an aggressive, invasive plant with a dense root system, is in the lead and spreading quickly across the west. Native plants are falling in its wake—especially when it comes to their delicate seedlings that lead to new generations. Foxx is one of the scientists working to give native plants a leg (or root) up. She hypothesizes that a carefully assembled team of native plant seedlings with just the right root traits may be able to work together to outpace their competition. 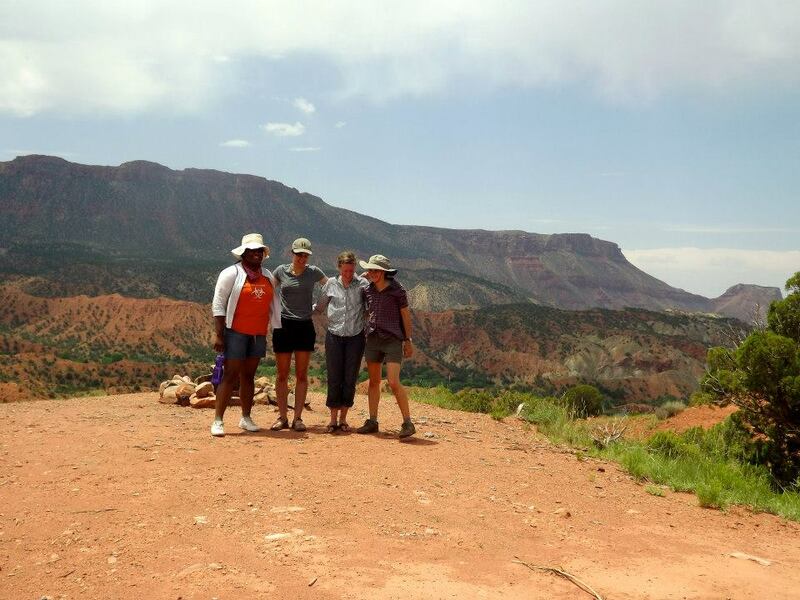 Alicia Foxx (left) participates in seed collection in southeastern Utah. In the desert climate, human-related disturbances such as mining, gas exploration, livestock trampling, or unnaturally frequent fires have killed off native plants and left barren patches of land behind that are susceptible to the arrival of cheatgrass. Garden conservation scientist Andrea Kramer, Ph.D. advises Foxx, and her mentorship has allowed Foxx to see how science theories created in a laboratory become real-life solutions in the field. “I think I’m very fortunate to work with Andrea, who works very closely with the Bureau of Land Management…it’s really nice to see that this gets replicated out in the world,” said Foxx. Seeds from their joint collecting trip in 2012 have been added to the Garden’s Dixon National Tallgrass Prairie Seed Bank. Alicia Foxx loves to walk through the English Walled Garden when she steps away from her work. In a way, Foxx is also learning from the invasive plants themselves. To develop her hypothesis, she considered the qualities of the invasive plants; those that succeeded had roots that are highly competitive for resources. 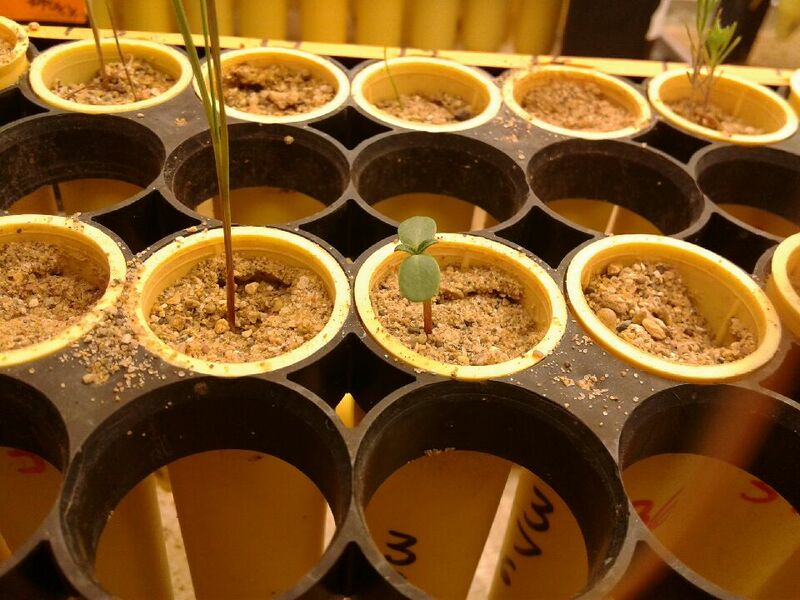 After securing seeds from multiple sources, she is now working in the Garden’s greenhouse and the Population Biology Laboratory to grow native plants that may be up to the challenge. She is growing the seedlings in three different categories: a single plant, a group of the same species together, and a group of species that look different (such as a grass and a wildflower). 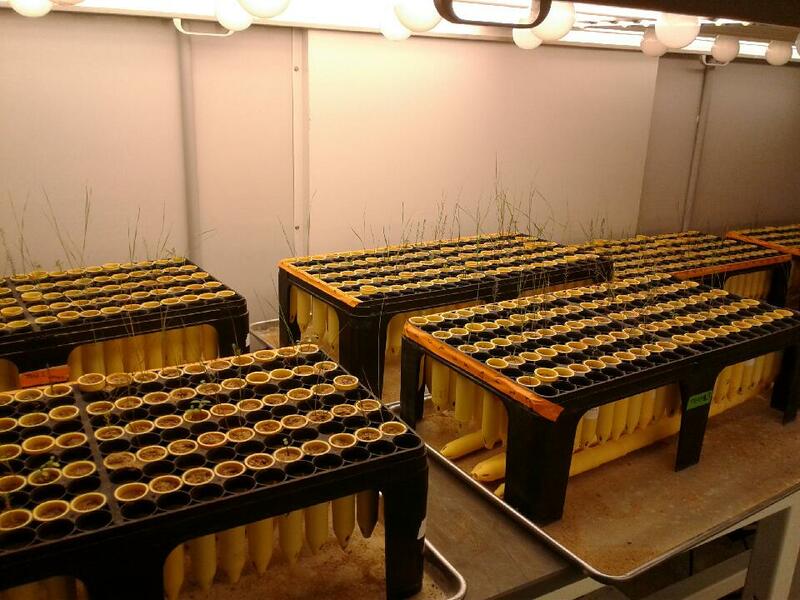 In total, there will be 600 tubes holding plants. She will then evaluate their ability to establish themselves in a location and to survive over time. There has been very little research on plant roots, but Foxx said the traits of roots, such as how fibrous they are, their length, or the number of hair-like branches they form, tell us a lot about how they function. “I’m hoping that looking at some of these root traits and looking at how these plants interact with one another will reveal something new or solidify some of the theories,” said Foxx. She aims to have what she learns about the ecology of roots benefit restorations in the western United States. It is possible that her findings will shape thoughts in other regions as well, such as the prairies of the Midwest. Future research using the seeds Foxx collected could contribute to the National Seed Strategy for Rehabilitation and Restoration, of which the Garden is a key resource for research and seeds for future restoration needs. The Chicago native has come a long way since she first discovered her love of botany during high school. After completing her research and her Ph.D., she hopes to nurture future scientists and citizen scientists through her ongoing work, and help them make the connections that can lead to a love of plants.